True luxury is custom-made: materials in the requested surface feel or colour, and user comfort based entirely on personal preference: thus fulfilling even the most stringent requirements in terms of design and function. As well as private customers, therefore, it seems only logical that luxury hotels and other prestigious addresses would also opt for tailor-made solutions. 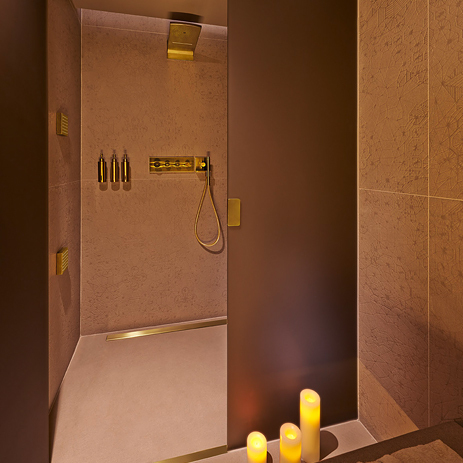 At the 5-star Four Seasons Hotel in Milan, Axor bathroom mixers in gold finish complement the exclusive ambience of the luxury spa. This special finish is one of many customised variants offered by the Axor Manufacturing Department. 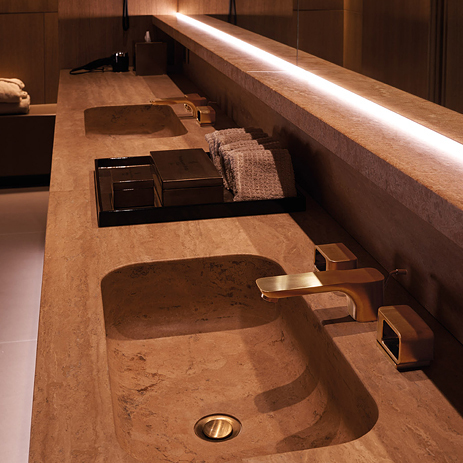 Hansgrohe SE is a high-end manufacturer specialising in customisation, and offers a wide variety of options in order to respond to individual customer requirements. 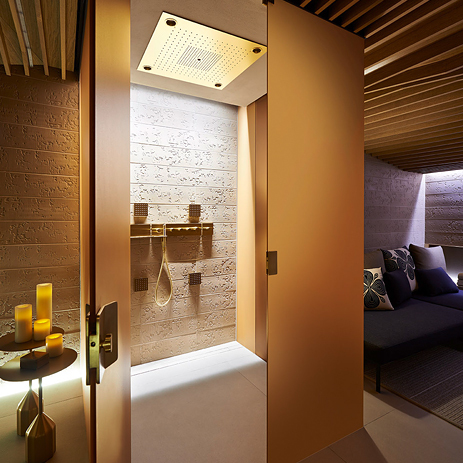 In the spa area of the Four Seasons Hotel, bathroom mixers and showers from the Axor Urquiola collection and Axor ShowerCollection, including the spacious Axor Starck ShowerHeaven overhead shower, have all been refined. 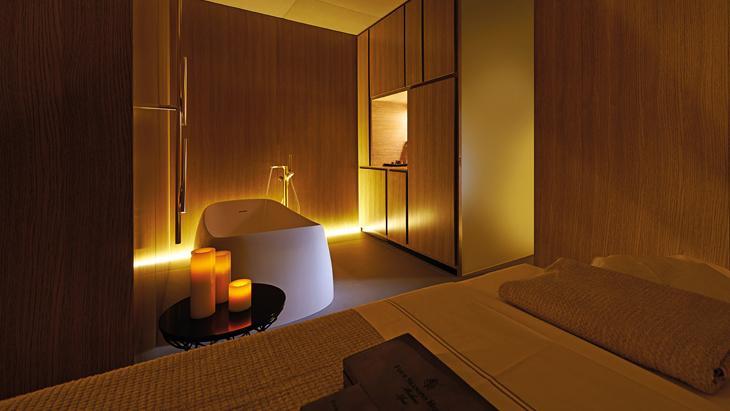 The spa was designed by renowned Spanish designer and architect Patricia Urquiola. 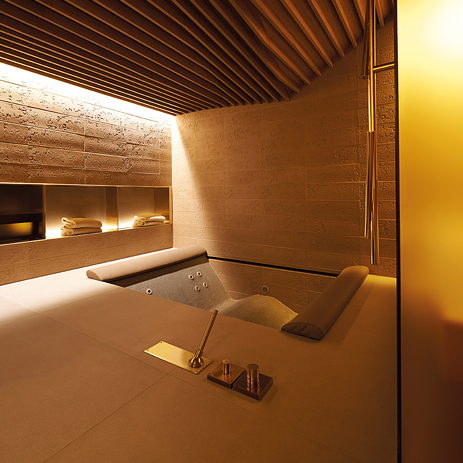 She transformed the historic wine cellar and its adjacent areas into an atmospheric spa in a spacious setting, covering 800 square metres: under a vaulted ceiling, you will find a luxurious pool surrounded by relaxation, exercise and beauty treatment areas. A special charm is exuded by the natural stone, the wood and the selected floor tiles. 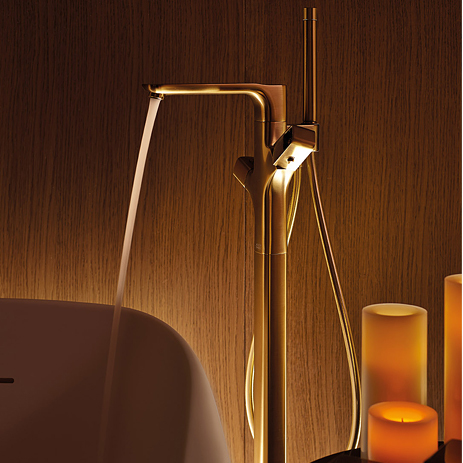 Golden bathroom mixers fit in perfectly with the warm ambience. In line with the designer’s concept, the Black Forest specialists produced the polished and brushed surface finishes. Incidentally, the Axor Manufacturing Department also offers special finishing options for kitchen mixers. In addition to the gold finish, a variety of special finishes are available including red gold, nickel, bronze, black chrome and chrome. Each of these is available in polished or brushed version. Extended or shortened mixers and showers, as well as products featuring personal initials or logos, are all hand-crafted. At Axor, special finishes are generally manufactured using the PVD method. This means that they are of durable quality, are exceptionally scratch-resistant and also resistant to cleaning agents. PVD (Physical Vapor Deposition) is a modern, environmentally-friendly method, whereby the natural mineral zircon is evaporated by an arc at several hundred degrees Celsius in a high-vacuum chamber. The steam blends with nitrogen to form an exceptionally hard coating, which settles on the mixer. In comparison with electroplated chrome finishes, this PVD coating is much more robust and less susceptible to corrosion.